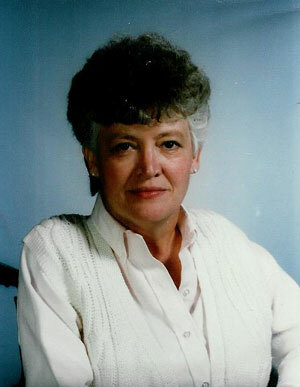 Lena Ricks, 76, a lifelong advocate for people with disabilities, died August 14, 2013. Until her death she served as the Executive Director of Partners in Personal Assistance (PPA), which she founded in 1999. The nonprofit ensures that people with disabilities live independent, self-governed lives by directing the personal assistance they receive. Ricks moved from Tennessee to Ann Arbor, where she was one of the founders of the disability rights and service nonprofit organization Ann Arbor Center for Independent Living in 1976. She served as Washtenaw Community College's Special Needs Office Associate Director in the 1980s. She worked as a counseling social worker for many years. She served on the Ann Arbor Transportation Authority's local advisory committee and the Washtenaw County National Alliance on Mental Illness Board of Directors. Ricks earned her Masters of Social Work at Eastern Michigan University in 1994 and a bachelor's of business administration at Cleary University in 1984. Ricks is survived by daughter Tammy and son-in-law Tommy Henderson, son Geno and daughter-in-law Ann Ricks, son Darrell and daughter-in-law Rhonda Ricks, grandchildren April, Charlie, Chad, Brandi, Kayla, Cassidy, Ranay, Jami, Michael, Kyle, Rachel, Jasmyne, great-grandchildren Chase, Carter, Geno II, Jordan, Libby, Jaxson, Korbin, Colt, several nieces and nephews, and special family friends Jody Burton-Slowins, Dr. Jennifer Doble, Daphne O'Garro and Awa Abdul. Her husband Virgil Ricks, mother Vadie Sturgill, and siblings Glen, Kelly, Frank, J.D and June Sturgill predeceased her. Ricks' memorial service was held at King of Kings Lutheran Church, 2685 Packard Ann Arbor, on Saturday, August 17, 2013, at 2:00 pm.